And he's like "It's a dinosaur!" Damn right, it's a dinosaur. I tricked you, but I didn't charge. 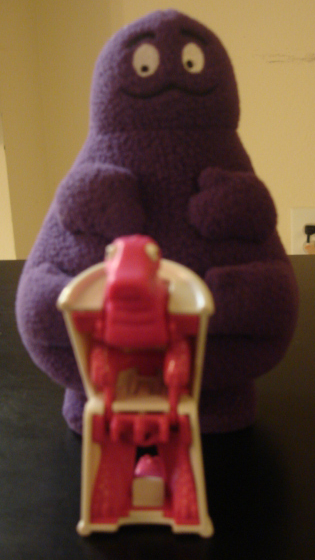 Speaking of dinosaurs, I learned about Evil Grimace from Dinosaur Dracula here. I only opened one side of the box, so I was able to put him back in it. He was a 2007 SDCC exclusive, so getting him for $50 was a good deal. I love everything about him, but wish they didn't sew his arms to his body. 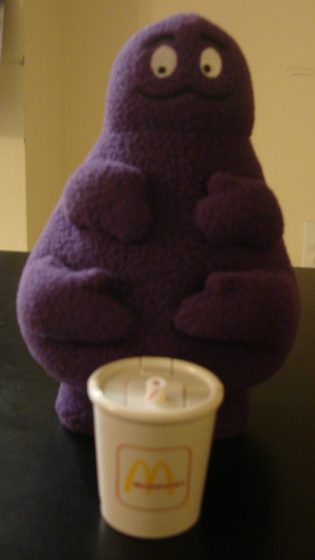 I wish mini milkshakes with velcro to stick on his hands were included too. 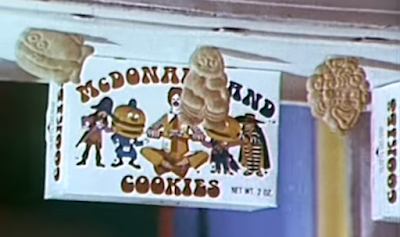 He was introduced in November 1971. 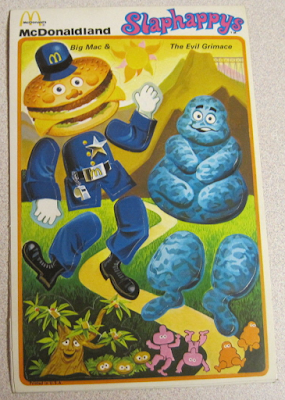 In his first three appearances, he was depicted with two pairs of arms to steal shakes. "Evil" was soon dropped from his name and he was reintroduced in 1972 as a good guy. 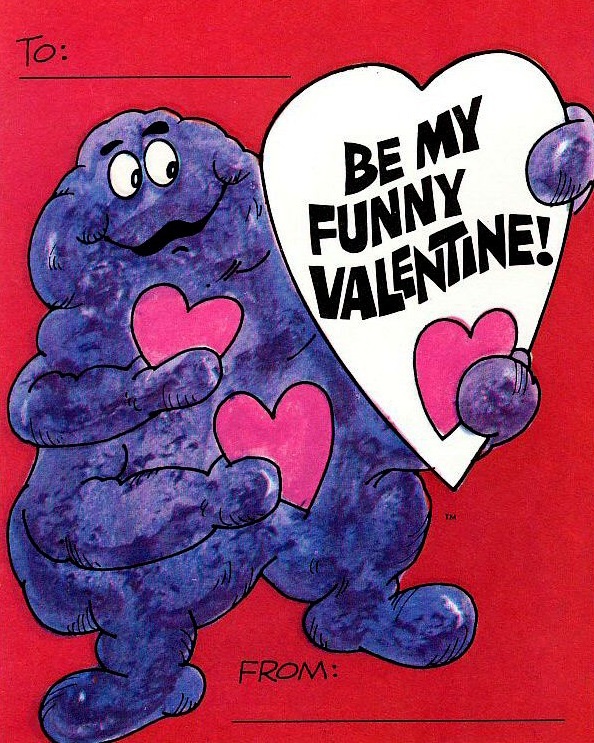 Evil Grimace still existed as a sticker, a cookie, and a valentine card though. You can get those stickers here and watch the commercial for them below. You can get the other McDonaldland valentine cards here. 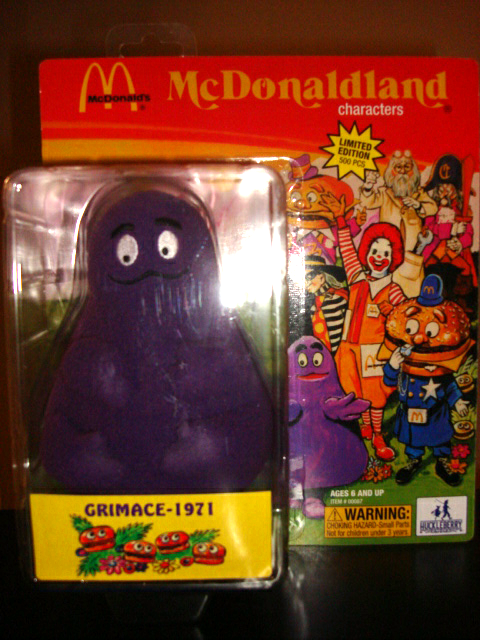 I think there are two Grimaces. Fraternal twins. One evil, one good. 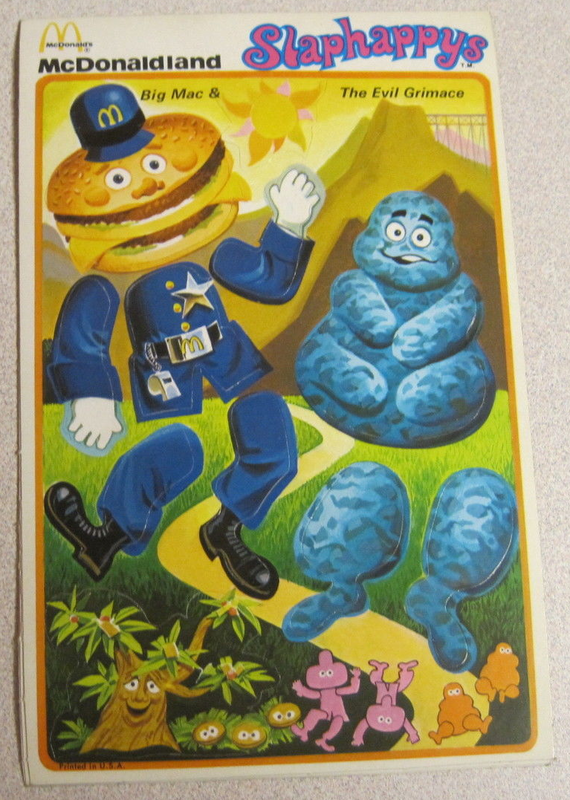 Evil Grimace was banished from McDonaldland, so he moved to England. Where he became personal assistant to Justin Hawkins of The Darkness. Doesn't that look like him drying Justin off in their best video below? Holly, your blog titles are the absolute best!!! Puppets and Monsters and Bears! Oh My!